There were two important reports on the U.S. economy released this morning. 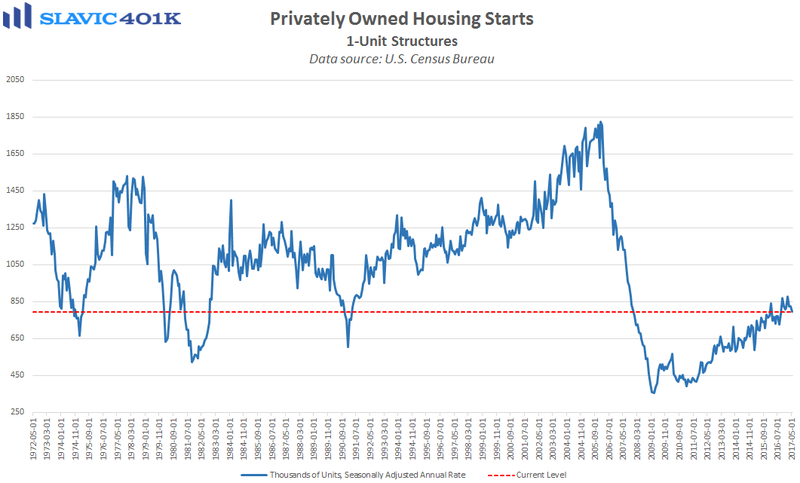 First, data from the Census Bureau showed that privately-owned housing starts in May grew at a seasonally adjusted annual rate (SAAR) of 1.092 million units. 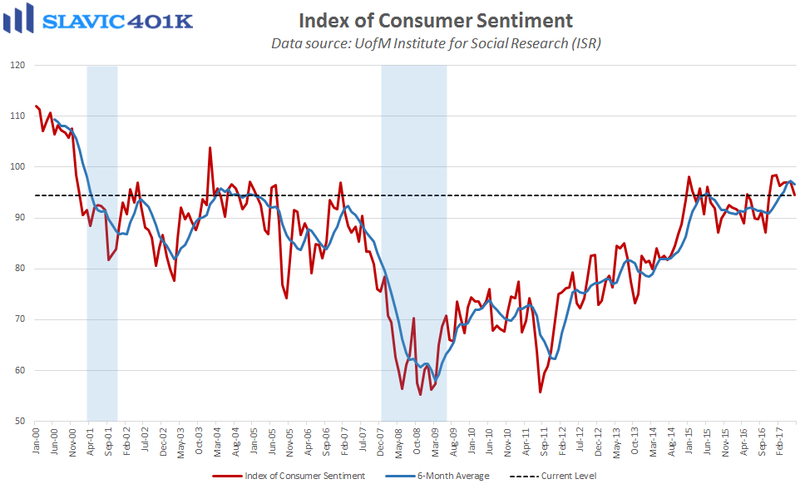 That was a 5.5 percent decrease from April’s downward-revised print, the third monthly decline in a row, and the lowest reading since September of last year. Single-family housing starts slid 3.9 percent in May, and multi-family units (rentals) fell by 9.8 percent. Regionally, housing starts last month were flat in the Northeast, increased in the West (+1.3%), and decreased in the South (-8.8 percent) and the Midwest (-9.2 percent). As for total building permits, this popular gauge of future construction activity declined by 4.9 percent in May. That was much worse than expected but most of the weakness was due to a 10.1 percent plunge in rental authorizations. 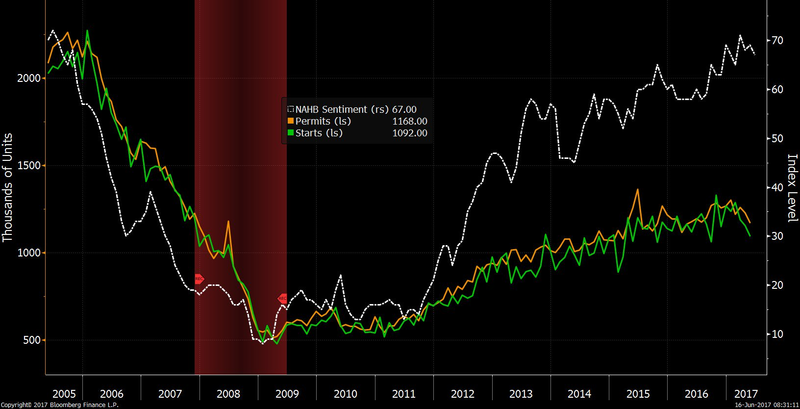 Altogether, a lack of available lots, a shortage of skilled workers, and a burdensome regulatory environment continue to weigh heavily on home construction in America, in turn exacerbating the housing shortage that has driven up prices for would-be buyers.